Google Analytics’ e-commerce tracking is generally the most developer-intensive part of a Google Analytics implementation, because it requires a developer-built data layer on the transaction confirmation page. 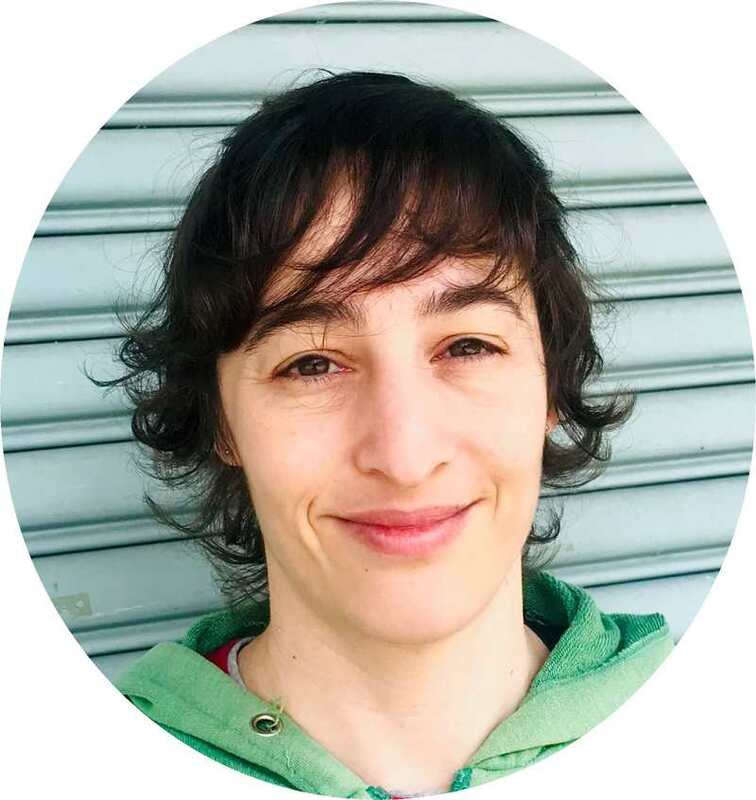 The data layer collects all the relevant data — the transaction ID, the checkout total, the product names, the prices, and so on — and lays them out in an standardized syntax that can be read by Google Tag Manager and sent off to GA’s servers. But what if… you had to implement e-commerce tracking without any outside developer assistance, entirely through Google Tag Manager? This post will show how to set up e-commerce tracking on your own, entirely through GTM. There will still be an e-commerce data layer, but you’ll build it yourself, by scraping the data you need off the page and adding it to a custom HTML tag. Since this type of DOM scraping isn’t reliable in the long run, this tracking should usually just be used for protoyping, short term patches, or cases where there’s no other option (it happens). For this example we’ll use GA’s Standard Ecommerce Tracking, but you could modify the script slightly for Enhanced Ecommerce. 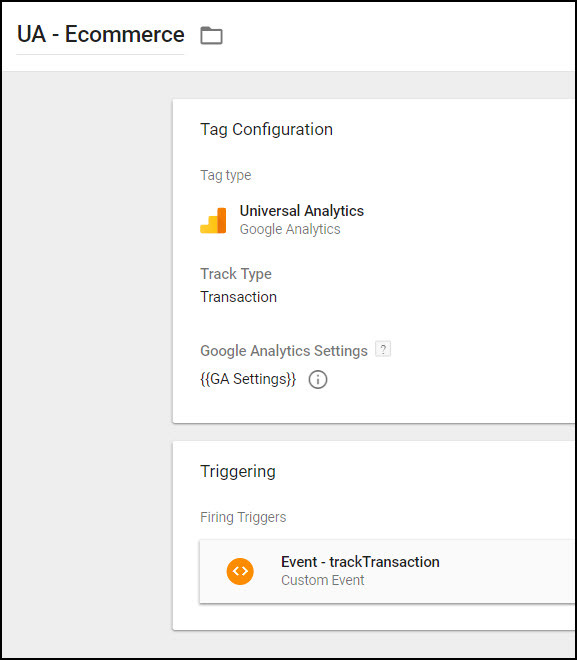 These are the required elements for ecommerce tracking, as shown in Google Tag Manager’s documentation on the Google Analytics data layer requirements for ecommerce tracking. What this means is that at a minimum we only need to set up variables that collect the transaction ID and transaction total. 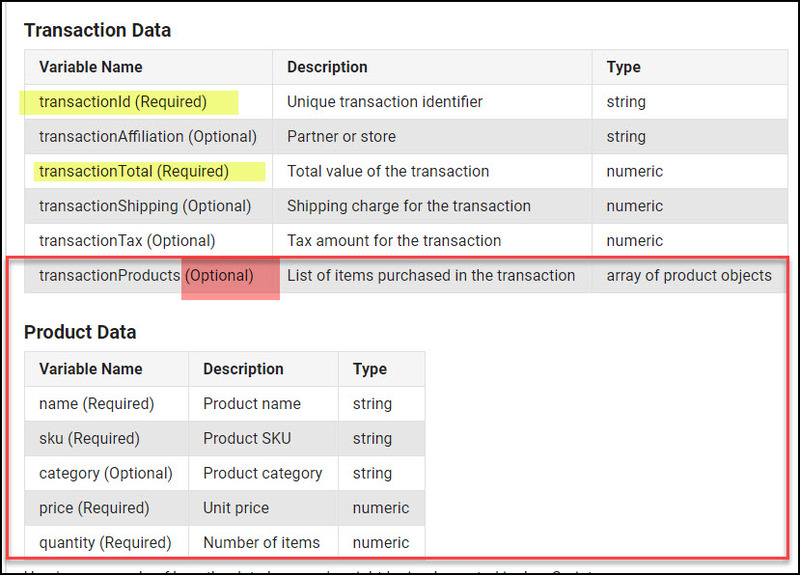 All the Product Data values are located inside the transactionProducts array, which is optional. However since this aspect of ecommerce tracking is usually included, I’ll show how to include it here as well. Let’s go through the process of collecting these off the page. Repeat the above for the transaction ID. Since the transaction ID doesn’t have to be a number, you can leave off the .replace(/[^0-9\.-]+/g,””) part of the function. 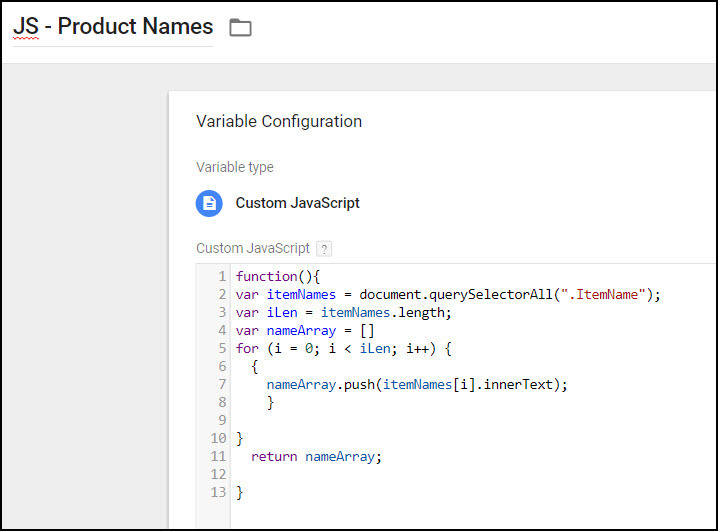 ❓ If you have trouble with the above, you can try this Chrome extension that identifies the selector for you: GTM Variable Builder. The product data is a little more complicated as there may be multiple products in a single checkout. As with the transaction data, you find the selector that identifies your products, and then you need to loop through it and push all the relevant information into an array. You will also be using document.querySelectorAll (rather than document.querySelector) because you want to capture ALL the product values, not just the first one. This code snippet should work, but you need to replace “.ItemName” with your site’s specific CSS selector. Repeat this for each of the 4 product variables, modifying only the query selector (the value located in the parentheses after .querySelectorAll). The product prices will also need to be converted into a number. As mentioned above, the list of products is optional, so if you find this step difficult, or you don’t actually need to track the specific products, you can just leave it out. 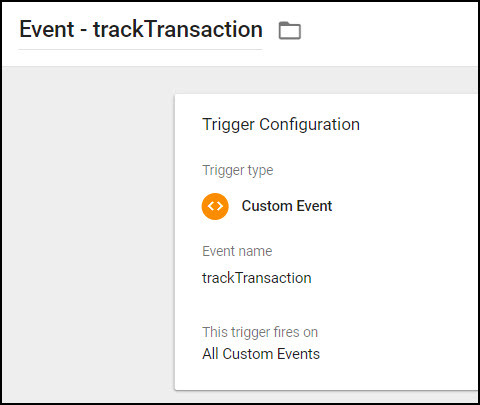 In the above code we’re pushing a GTM event called trackTransaction to the data layer. Amazing, Thank’s a lot for this article, thanks, thanks, thanks!